Wearing a high-school jersey with the sleeves cut out and tugging a plywood surfboard, Ron Carter paddled out to the breaking waves. 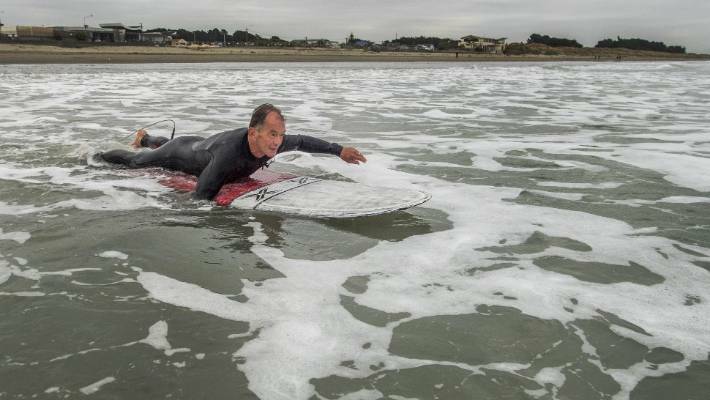 Wetsuits, rope ties and styrofoam boards weren't even a thought for the 69-year-old Christchurch surfer when he first learnt the way of the water more than six decades ago. At primary school, he and best friend Keiry Bennett used to borrow the hollow plywood surfboards of the older surf crew and swim out from New Brighton Beach. Ron Carter has been shredding the waves in New Brighton since he was 7. Water leaked through the plywood seams and the boards were waterlogged and heavy after only a couple of rides, but the challenge couldn't force the pair back to shore. They would cut shapes until their toes were numb and fingers pruned. "We used to empty water out of the boards every half hour but it was all good fun ... you got into nearly a hypothermic state every time, it was freezing but so good." Carter will be a judge at the New Brighton Duke Festival of Surfing this weekend. Carter's friendship with Bennett, who he has known since kindergarten and went to Brighton Primary School and then Aranui High School with, has lasted through the highs and lows of life. So has his passion for the surf. The retired jeweller has competed in several national championships and surfed all the hotspots in New Zealand, Australia and Indonesia, finally making it to Hawaii with partner Maureen last year. He is a life member of New Brighton Boardriders Club and has no thoughts of slowing down, crediting surfing four times weekly for keeping him fit and healthy. The retired jeweller has been a familiar face in the New Brighton surf for more than six decades. At the 1968 New Zealand Championships, Carter gave up any chance of securing a spot in the finals when he rescued a surfer caught in a rip, pulling him onto his own surfboard and paddling to shore. New Brighton Pier and Foreshore Promotion Society member Warren Hawke said no-one could compare to Carter's "smooth style and grace". When the winter-time surf surged, Carter would jump off the New Brighton Pier to get a head start on his swim. For surfers, the pier is a "little like a chairlift in a ski field", Hawke said. Wetsuits, rope ties, styrofoam boards and the technology available today were not even a thought when Carter was learning the craft. A 2017 Surfing NZ survey estimated that one in 27 people in New Zealand surf – roughly 145,000 people. Of those interviewed, 43 per cent started surfing between the ages of 11 and 15, and 28 per cent got into it before they were 10. 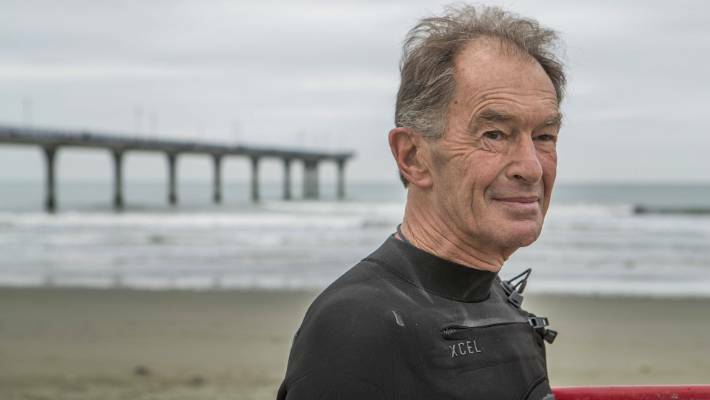 Carter will compete in the over 60s event of the men's longboard division and judge other rounds at the New Brighton Duke Festival of Surfing this weekend in New Brighton. About 300 entrants from around the country are expected to show off their skills. "Maybe next year they will add an over 70s [category]."